Yes that’s me, freaky mommy. I may be an “in tune” mommy but I’m also a freaky mommy. It’s been so evident of late. On Monday we had to bring Hubby-jr for a CT Scan to determine if his hearing loss is due to EVA (Enlarged Vestibular Aqueducts). 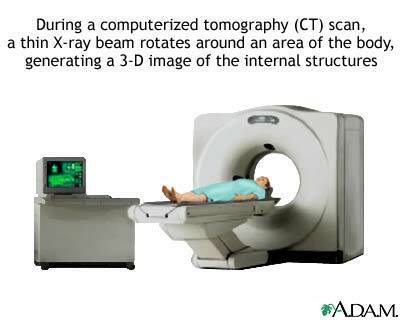 CT SCAN! ENLARGED VESTIBULAR AQUEDUCTS! Hearing those words was enough to freak me somewhat when I was told the week before. But that wasn’t all… “they” (the establishment!) would have to sedate Hubby-jr for the scan as he’d have to lie perfectly still during the “procedure”. (Lying still would be impossible for my 4-yr old… meanwhile my freaky measurement rises…) First “they” would try oral sedative but if it failed (i.e. he’s not knocked out!) they’ll have to insert a stronger dose (think its anesthesia) through an intravenous line (IV). IV! Freaky meter reached dangerous levels! Beep! Beep!! Beep!!! Only prayer brought the levels down. Stepping into the hospital and “checking in” to Day Surgery Center made my knees shake (I don’t take to hospitals very well). Tried my best to stay normal for my son, thankfully hubby was also there. When we were told they’d have to insert the IV thingy into Hubby-jr’s hand, I asked hubby to go with him. I had to sit it out. I KNEW he would SCREAM throughout and he did. I froze when I heard his screams from out of the room. Yes, it totally freaked me out. Totally. He came out all shaken and in tears hugging tightly to daddy who was lying with him in bed. I hugged him and comforted him as best I could. My poor son. Next was to wait for him to fall asleep. The nurses started pushing him to the radiology section while my son looked just like a frightened rabbit wondering what would be happening next. I was by his side holding his hand. They pushed him to a corner supposedly to let him fall asleep but in just a minute or so they pushed him to another corner and minutes later, another! That’s when all my freakiness disappeared and the mama bear in me took over. I FIRMLY told the nurses, “Stop moving him around. He’s frightened. Let him settle down first PLEASE! Otherwise he’s not going to fall asleep!” We were finally left alone … just then another nurse pops up and suggested moving him to another spot! (Can you believe it?!) I just SHOOSHED her and waved her away. No one is coming near my son until he sleeps! NO ONE! Sleep he finally did. They completed the CT Scan in a jiffy and without any glitches (he didn’t stir halfway so they didn’t have to insert any extra sedative or whatever!). I heaved a huge sigh of relief. An hour later he wakes up and I was dancing (in my head and toes). After that the specialist came and told us Hubby-jr doesn’t have EVA and I was giddy! Praise God! I won’t have to stop my active son from jumping, swinging, etc. Hallelujah! So, they can’t determine the cause of Hubby-jr’s mild hearing loss in his right ear but they’ll be monitoring his hearing every month. Meantime hubby and I decided that we will start him on formal speech therapy sessions and see how that goes. If his progress is less than acceptable then we’ll arrange for him to wear a hearing aid. Phew… I’m so glad the hospital check ends there. I could do with being less freaky and more in tune! oh wow! freaky indeed. i would have done the same….i bet your glad that’s over. mommy-business is hard on the heart, heh?